Gregory Polanco...Signed by Pirate scouts Rene Gayo and Ellis Pena...Was rated by Baseball America as the "Best Hitter for Average", the "Best Athlete" and the "Best Defensive Outfielder" in the Pirates minor league system prior to the 2013 and 2014 seasons...Was ranked by Baseball America as the top prospect in the Pirates organization prior to the 2014 season and as the 13th overall prospect in baseball by MLB.com...Ranked by MLB.com as the second-best prospect in the Pirates farm system in 2013. Led the Pirates in home runs and RBI; set a career high in homers...Had a career-high 61 extra-base hits; the most by a Pirates player since Andrew McCutchen had 62 in 2015...His 60 extra-base hits as a right fielder were the most among N.L. players at that position and were the fifth-most among all outfielders in the league... Also set career highs in OBP, slugging percentage, OPS (.839) and walks...Was the Opening Day starter in right field and homered in the 13th inning at Detroit to help lift the Pirates to a 13-10 victory; it marked just the second home run hit by a Pittsburgh player on Opening Day in the 13th inning or later (also Willie Stargell off Tony Cloninger in the 13th inning in Atlanta on April 12, 1966)...Homered twice on 4/12 at Chicago (NL) - his third career two-homer game...His home run off lefty Justin Wilson on 4/12 was his first off a LHP since taking Houston's Tony Sipp deep on 8/23/16...Was leading MLB with 15 RBI following the action on 4/12...Hit .325 (13-for-40) in his first 11 games in May; hit .143 (6-for-42) in his last 12, which included an 0-for-22 streak between 5/22-30...Hit .306 (19-for-62) with 16 RBI in 24 games during the month of June...Homered in three straight games from 7/13-14, which included homers in both games of the doubleheader vs. Milwaukee on 7/14...His 16 home runs prior to the All-Star break were the most hit by a Pirates right fielder since Bobby Bonilla hit 16 from that position in 1990...Batted .301 (28-for-93) with eight homers and 18 RBI in 24 games in July...Tied career high (second time) with two stolen bases on 7/29 vs. New York - his first game with two steals since 6/5/15...Hit .314 (50-for- 159) with 11 home runs and 36 RBI in 49 games between 5/31 and 7/31, raising his season average from .201 to .254... Threw out a batter/runner at first base on a hit to right field on 8/20 vs. Atlanta (pitcher Bryse Wilson)...Had a .218 (22- for-101) average and .296 OBP in 27 games in August...Hit safely in each of his six games in September, going 9-for-22 (.409) with two homers and six RBI...Injured his left knee and left shoulder while sliding into second base on 9/7 vs. Miami and missed the remainder of the season...Underwent surgery on 9/12 to repair the labrum and regain stabilization of the left shoulder after the acute dislocation; surgery performed by Dr. David Altchek at the Hospital for Special Surgery in New York. Went 11-for-19 (.579) with two doubles, a homer, two RBI and three runs scored in five games with the Dominican Republic team during the World Baseball Classic in March; had two or more hits in all five games...Was Pittsburgh's first-ever Opening Day designated hitter as the club began the season in Boston on 4/3...Went 4-for-4 in his fourth game on 4/8 vs. Atlanta and hit .435 (10-for-23) during an eight-game stretch between 4/8-18...Was removed from the starting lineup on 4/15 due to right groin discomfort...Made each of his first 24 defensive starts in left field...Played the final six innings in center field on 4/24 vs. Chicago (NL) - his eighth career appearance there... Made his fourth career start in center field on 5/7 vs. Milwaukee... Was removed from the game on 5/14 at Arizona due to left hamstring discomfort...Was on the D.L. with a left hamstring strain from 5/17 (retro to 5/15) thru 5/24...Hit safely in 10 straight games from 5/11 thru 6/2 (13-for-34; .382)...Had three hits off a left-handed pitcher in the same game on 7/1 vs. San Francisco - his second career game with three hits off a LHP (also 8/15/15 at New York)...Made his second start of the season (fifth career) in center field on 7/2 vs. San Francisco...Went 4-for-4 on 7/17 vs. Milwaukee, collecting all four hits off left-handed pitchers; the first Pirates left-handed batter with four hits off a southpaw in the same game since Chris Duffy on 9/7/06...Hit .387 (24-for-62) in July after hitting .183 (17-for-93) in June...Suffered a strained left hamstring on 7/21 at Colorado and was placed on the 10-day disabled list on 7/22...Was reinstated from D.L. on 8/2...Homered as a pinch hitter on 8/4 vs. San Diego (first career); a 434-foot blast that bounced into the Allegheny River...Left the game on 8/12 with left hamstring discomfort and was placed on the 10-day D.L. with a left hamstring strain on 8/15 (retro to 8/13)...Returned to action on 9/8 and went 3-for-4 on 9/9 at St. Louis...Hit .228 (13-for-57) with one homer (9/27) in 17 games after returning on 9/8...Missed a total of 40 games due to three separate stints on the disabled list...Went 5-for-10 with a homer and five RBI as a pinch hitter...Made 68 starts in right field, 25 in left field and two in center field...Committed just two errors (171 total chances) and had six assists. Set career highs in home runs, RBI, on-base percentage, slugging pct. and OPS (.786) in his second full season with the Pirates...Led team in RBI and ranked second behind Andrew McCutchen (24) in home runs...Ranked seventh among N.L. batters with a .347 average during interleague play...Tied for eighth among N.L. outfielders with 58 extra-base hits...Made 103 starts in right field, 24 in left field and two in center field (4/20 and 10/1)...Tied for fifth in the National League with 10 outfield assists and shared the Major League lead with four double plays from the outfield...Hit .388 (38-for-98) in his 29 games while playing left field...Produced a .298 average (34-for- 114) and 20 RBI in 29 games from the third spot of the lineup; a .203 average (32-for-158) and 24 RBI in 40 games batting fourth...Agreed to terms on a five-year contract extension (thru 2021) on 4/5...Had a careerhigh five RBI on 5/24 vs. Arizona...Connected off Jose Urena for his first career grand slam on 5/20 at Miami...Was hitting .308 (65-for-211) after going 3-for-5 with three doubles on 6/8; hit .225 (71-for-316) in his final 87 games, beginning with the action on 6/9...Played all three outfield positions on 6/21 vs. San Francisco...Recorded his first career two-homer game on 7/4 at St. Louis; also hit two home runs on 8/23 vs. Houston while tying career high with three runs scored...Left the game on 7/8 with left hamstring tightness and missed the next five games...Appeared in the leadoff spot for the only time on 7/20 vs. Milwaukee (1-for-5)... Batted fourth in the starting lineup for the first time in his career on 8/9 vs. San Diego and hit a three-run homer...Produced a three-run double as a pinch hitter on 8/27 at Milwaukee; his only pinch-hit of the season (1-for-5 with three walks)...Left the game on 9/23 vs. Washington in the first inning after suffering a facial contusion while running into the wall in left-center field while attempting a catch and missed five of the last nine games...Homered once (9/16) in his last 28 games (110 PA's) after going deep in back-to-back games on 8/28 and 8/29. Spent his first full season in the Majors with Pittsburgh... Ranked third on the team in runs (the Pirates went 54-14 in games in which he scored at least one run)...Was Pittsburgh's most-used leadoff batter; hit .261 with 26 doubles, five triples, six home runs, 36 RBI and 60 runs in 98 games from the top spot of the order...His 13 outfield assists ranked second among National League outfielders behind temmate Stalring Marte (16)...Was the fifth-hardest player to double up in the N.L. ; grounded into a double play once every 118.6 at bats...Ranked sixth in the league in stolen bases and ninth in at bats...Made his first career Opening Day start in right field and went 1-for-4 on 4/6 at Cincinnati... Made his first Major League start/appearance in left field on 4/14 vs. Detroit...Batted third in the starting lineup for the first time in his big league career on 4/17 vs. Milwaukee and had three hits...Hit a two-run homer on the 12th pitch of his at bat against Max Scherzer on 7/24 at PNC Park...Connected off Chicago's Dan Haren for first career leadoff home run on 8/5 at PNC Park and did the same against Clayton Kershaw in his next game on 8/7...Became the first Pittsburgh player to hit leadoff homers in back-to-back games since Nate McLouth on April 27 & 29, 2008...Recorded two assists on 8/28 vs. Colorado - the first Pittsburgh outfielder with two assists in the same game since Josh Harrison on 8/13/13...Hit .330 and tied for second in the N.L. in hits (37) during the month of August...Threw out Chicago's Trevor Cahill at first base on a would-be single on 9/15 and did the same against Cincinnati's Keyvius Sampson on 10/2...Batted .282 (84-for-298) in 70 games from 7/12 thru the end of the season. 2015 POSTSEASON: Was the starting right fielder and went 0-for-4 as the leadoff batter in the Wild Card Game vs. Chicago on 10/7. Began season with Triple-A Indianapolis and reached base safely in each of his first 11 games thru 4/13...His four-hit game on 4/12 vs. Toledo raised his season average to .500 (19-for-38)...Was named the International League Hitter-of-the-Week for the week of 4/7-13 after hitting .500 (14-for-28) with a double, two triples, a home run and seven RBI in seven games...Had three hits and four RBI on 4/22 at Toledo...Fell a triple shy of hitting for the cycle on 4/24 at Toledo...Was named the International League Player-of-the-Month for April after hitting .400 (38-for-95) with six doubles, four homers, 25 RBI and 21 runs scored in 24 games...Producedhis second four-hit game on 5/5 at Scranton/WB...Tallied seven RBI over a three-game stretch from 5/11-13...Recorded his third four-hit game on 5/13 vs. Pawtucket, falling a home run shy of the hitting for the cycle...Had backto-back three-hit games on 5/16-17...Was moved to the leadoff spot of the lineup on 5/31 and went 2-for-5 with a run scored vs. Scranton/WB...Had two hits and scored three runs in his second game at the top of the order on 6/1 vs. Scranton/WB...Hit leadoff homer on 6/6...Went 14-for-41 (.341) with five multi-hit games and 10 runs scored in nine games from the leadoff spot with Indy from 5/31 thru 6/8...Made all 62 defensive appearances in right field while playing with Indianapolis...Was recalled by Pittsburgh on 6/10 and made Major League debut that night vs. Chicago (NL); batted second and started in right field and went 1-for-5 with a run scored...Singled off LHP Travis Wood in his second at bat for his first big league hit...Tallied first Major League RBI on 6/11 vs. Chicago...Led off his first big league game on 6/12 vs. Chicago and went 1-for-4 with a run scored...Had career-high five hits and connected off lefty Mike Dunn in 13th inning for first Major League home run on 6/13 at Miami; became just the second rookie since 1900 to collect five or more hits in a game and hit a game-winning home run in extra innings (Willie Montanez went 5-for-5 with a game-winning home run off Don Shaw in the 10th inning as the Phillies beat the Cardinals in St. Louis on September 13, 1971)...Became the first Pittsburgh player to begin his Major League career with an 11-game hitting streak; the first National League player to do so since Juan Pierre began his big league career with a 16-game streak in 2000...Homered and had a career-high four RBI on 6/26 vs. New York (NL)...Led N.L. rookies with a .374 on-base percentage and ranked second with 14 runs scored in June...Started 19 straight games from 6/10-29...Singled as a pinch hitter on 7/1 vs. Arizona; his hit off LHP Addison Reed snapped an 0-for-16 streak against left-handed pitchers...Went 2-for-4 with a home run, three RBI and three runs scored on 7/22 vs. Los Angeles...Tied career high with four RBI on 8/7 vs. Miami...Had three outfield assists in a five-game span from 8/7- 11...Was mired in a 1-for-30 slump when optioned to Indianapolis on 8/25...Went 4-for-26 (.154) with four walks and two RBI in seven minor league games before being recalled on 9/2 when big league rosters expanded...Made start in right field on 9/9 at Philadelphia - his first start with the Pirates since 8/24 - and went 1-for-3 with a run...Played final seven innings in right field on 9/11 at Philadelphia and went 1-for-3 with an RBI...Made final start on 9/17 vs. Boston and homered off Clay Buchholz...Made all 83 defensive appearances (63 starts) in right field while playing with Pittsburgh...Ranked fourth among N.L. rookies in runs and fourth in stolen bases...Hit .228 (36- for-158) with 27 runs in 37 games from the leadoff spot; .381 (8-for-21) with six RBI in seven games from the seventh spot...Was on the Wild Card roster, but did not play in the game. Hit .285 (134-for-470) with 30 doubles, two triples, 12 home runs, 71 RBI and 38 stolen bases in 127 minor league games...Established minor league career highs in games, at bats and doubles...Began season with Bradenton as the fourth-best prospect in the organization and the top-rated position player in the system according to Baseball America...Was named to the Florida State League mid-season All-Star team...Also participated in the MLB Futures Game at Citi Field in New York on 7/14...Went 3-for-4 in his second game on 4/5 vs. Fort Myers and hit his first home run on 4/7 vs. Fort Myers...Hit safely in 16 of his 18 games from 4/7-27 to raise his season average from .273 to .346...Produced a .304 average in 24 games during the month of April...Went 4-for-5 on 5/17 vs. St. Lucie and had another four-hit day less than a week later on 5/22 vs. Tampa...Hit safely in nine straight games from 5/26 to 6/7 (12-for-35, .343)...Hit .359 (47-for-131) against RHP and .241 (21-for-87) against LHP while playing with Bradenton, where he made all 56 defensive appearances in center field...Was promoted to Double-A Altoona on 6/14 and went 3-for-5 with two RBI and a stolen base in his debut with the Curve that night vs. Trenton...Hit his first Double-A home run on 6/22 at Bowie...Also made a diving attempt for a ball while playing center field on 6/22 and did not play the next four games due to a sore right shoulder...Was selected to play in the MLB Futures game on 6/26...Went 8-for-16 with a homer and five RBI while hitting in four straight games from 7/1-5...Tallied an RBI in five straight games from 6/30 to 7/5...Went 0-for-1 with a walk in the Futures Game on 7/14...Fell a triple shy of hitting for the cycle on 7/25 at New Hampshire...Walked four times on 7/26 at New Hampshire...Stole a base in three consecutive games from 8/13-15...Hit .419 (13-for-31) with three doubles, a triple, two homers, seven RBI and seven runs scored during a nine-game hitting streak from 8/8-17 (game one)...Hit safely in 12 of his 13 games from 8/8-19...Made 59 appearances in center field, six in right field and three in left field while playing with Altoona...Made two starts in center field with Triple-A Indianapolis to finish the regular season; went 0-for-4 on 9/1 and 2-for-5 with a stolen base on 9/2 (both games at Louisville)...Went 1-for-12 with a double in three postseason games against Durham...Played winter ball for Escogido in the D.R. and hit .331 (55-for-166) with 10 doubles, five homers and 28 RBI in 44 games...Was named MVP and Rookie-of-the-Year. Spent entire season playing with West Virginia and was named Pittsburgh's Minor League Player-of-the-Year...Was also selected to the South Atlantic League's mid- and post-season All-Star teams...Was named Player-of-the-Year in the South Atlantic League by Topps...Was also named the Most Outstanding Major League Prospect in the league in a poll conducted from the league managers, GMs, sports writers and broadcasters...Set minor league career highs in batting, runs, hits, home runs, RBI and stolen bases...Ranked second in the South Atlantic League in batting, third in RBI, tied for fourth in stolen bases and runs scored, fourth in hits and fifth in slugging percentage...Led all Pittsburgh farmhands in stolen bases, ranked second in RBI and batting and tied for second in home runs...Hit .396 (44-for-111) against LHP and .301 (98-for-326) against RHP...Made all 98 defensive appearances in center field and had 12 assists...Was caught stealing in his first attempt on 4/13 and was then successful in each of his next 10 attempts thru 5/7...Swiped two bases in three straight games from 4/19-21...Finished the month of April with a four-hit game as the designated hitter on 4/30 vs. Greensboro...Swiped three bases on 6/26 and again on 6/30...Went 5-for-5 with three doubles on 7/1 to lift season average to .308; his average remained above .300 for the rest of the season...Hit .406 (41-for-101) in 28 games during the month of July while also collecting a club-record 30 RBI, which ranked sixth in all of minor league baseball for the month...Went 4-for-4 with four RBI on 7/20...Hit .400 (14-for-35) during a nine-game hitting streak from 7/30 thru 8/9...Homered twice on 8/9 at Lexington...Produced a .375 average (72-for-192) in his final 54 games, beginning on 6/16...Hit .359 (47-for-131) and tallied 63 RBI with runners in scoring position. Spent majority of season with the GCL Pirates; played final three games in the New York-Penn League with State College...Was successful in all 18 stolen base attempts...Made 23 appearances in right field, 20 in center field and three in left field while playing with GCL Pirates...Went hitless in his first seven games (18 at bats) before going 3-for-5 with four runs scored on 6/30 against the GCL Yankees...Hit safely in season-high seven straight games from 6/30 to 7/7, going 11-for-24 (.458) with eight RBI and nine runs scored and raising his season average from .000 to .262...Swiped three bases on 7/12...Had season-high four hits on 8/8...Made one appearance at all three outfield positions with State College. Spent entire season with the GCL Pirates...Hit first professional home run and had six RBI on 6/28 vs. GCL Tigers...Stole three bases on 7/3 and again on 7/21...Hit .265 (18-for-68) in his first 17 games thru 7/9 and .167 (20-for-120) in his final 36...Made 38 appearances in right field and 10 in center field...Had all four assists from right field. Spent entire season playing in the Dominican Summer League...Led the team in triples...Made 58 appearances in right field, three in center field and one in left field; made lone start/appearance in left field in his second game of the season on 6/1...Hit .306 (30-for-98) and tallied 14 of his 24 RBI in 26 games during the month of July. 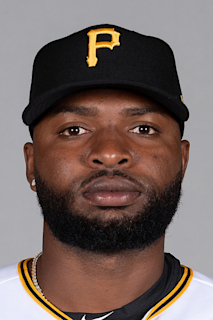 April 13, 2019 Pittsburgh Pirates sent OF Gregory Polanco on a rehab assignment to Indianapolis Indians. April 7, 2019 Pittsburgh Pirates sent OF Gregory Polanco on a rehab assignment to Bradenton Marauders. March 28, 2019 Pittsburgh Pirates placed RF Gregory Polanco on the 10-day injured list retroactive to March 25, 2019. Left shoulder surgery recovery. October 2, 2018 Pittsburgh Pirates activated RF Gregory Polanco from the 10-day injured list. September 18, 2018 Pittsburgh Pirates placed RF Gregory Polanco on the 10-day disabled list retroactive to September 15, 2018. Dislocated left shoulder and bone bruise on left knee. September 8, 2017 Pittsburgh Pirates activated RF Gregory Polanco from the 10-day disabled list. August 15, 2017 Pittsburgh Pirates placed RF Gregory Polanco on the 10-day disabled list retroactive to August 13, 2017. Left hamstring strain. August 2, 2017 Pittsburgh Pirates activated LF Gregory Polanco from the 10-day disabled list. July 22, 2017 Pittsburgh Pirates placed LF Gregory Polanco on the 10-day disabled list. Left hamstring strain. May 25, 2017 Pittsburgh Pirates activated LF Gregory Polanco from the 10-day disabled list. May 17, 2017 Pittsburgh Pirates placed LF Gregory Polanco on the 10-day disabled list retroactive to May 15, 2017. Left hamstring strain. September 2, 2014 Pittsburgh Pirates recalled LF Gregory Polanco from Indianapolis Indians. August 25, 2014 Pittsburgh Pirates optioned RF Gregory Polanco to Indianapolis Indians. June 10, 2014 Pittsburgh Pirates recalled Gregory Polanco from Indianapolis Indians. March 14, 2014 Pittsburgh Pirates optioned CF Gregory Polanco to Indianapolis Indians. November 20, 2013 Pittsburgh Pirates selected the contract of Gregory Polanco from Indianapolis Indians. August 31, 2013 Gregory Polanco assigned to Indianapolis Indians from Altoona Curve. June 14, 2013 Gregory Polanco assigned to Altoona Curve from Bradenton Marauders. April 2, 2013 Gregory Polanco assigned to Bradenton Marauders from West Virginia Power. February 25, 2013 OF Gregory Polanco assigned to Pittsburgh Pirates. October 27, 2012 OF Gregory Polanco assigned to Leones del Escogido. August 26, 2012 Gregory Polanco roster status changed by West Virginia Power. August 16, 2012 West Virginia Power placed RF Gregory Polanco on the 7-day disabled list. April 4, 2012 RF Gregory Polanco assigned to West Virginia Power from State College Spikes. March 9, 2012 OF Gregory Polanco assigned to Pittsburgh Pirates. September 1, 2011 Gregory Polanco assigned to State College Spikes from GCL Pirates. January 21, 2010 Gregory Polanco assigned to GCL Pirates from DSL Pirates. May 29, 2009 DSL Pirates signed free agent Gregory Polanco.